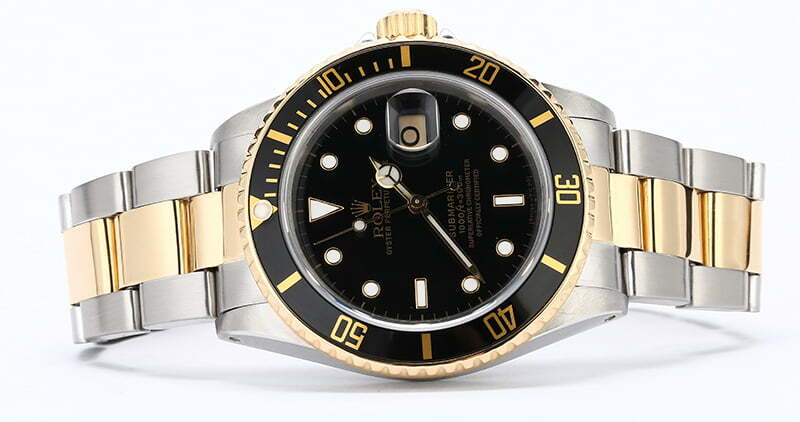 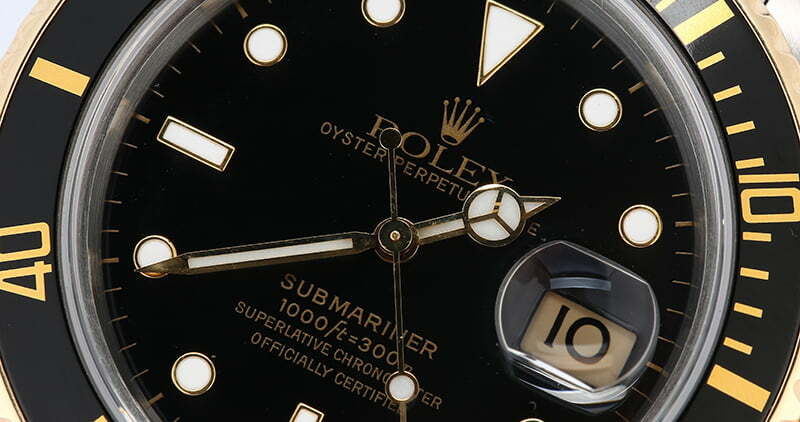 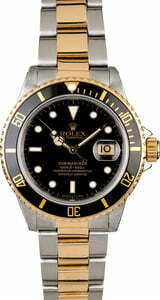 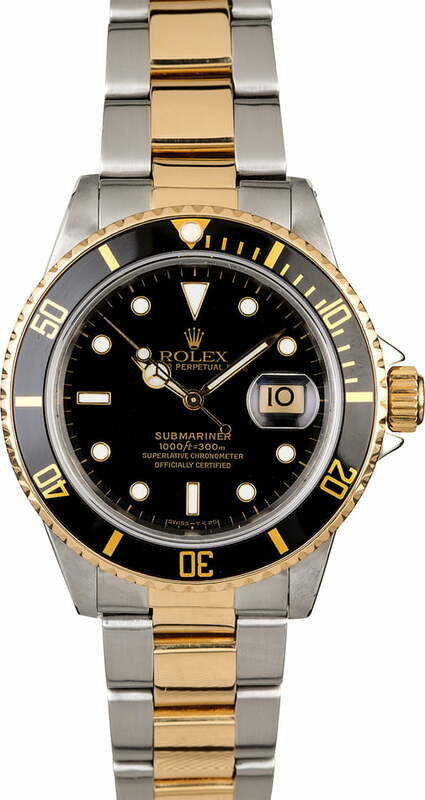 Two-tone Rolex Submariners can pretty much do it all. 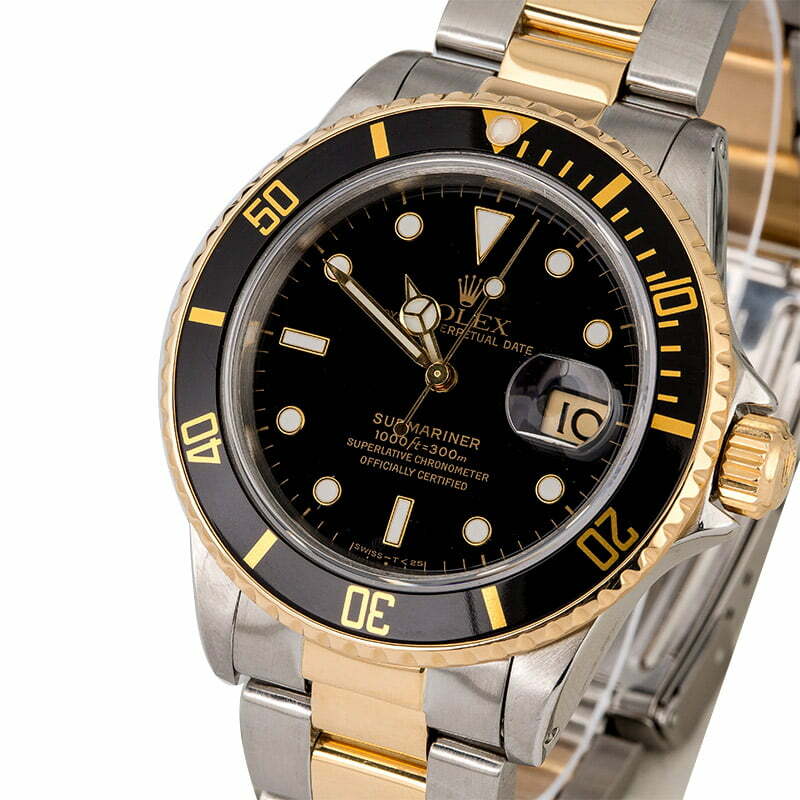 From exploring extreme depths in the ocean to walking the red carpet, the highly versatile design of the Submariner creates a watch that can accommodate any multi-faceted lifestyle. 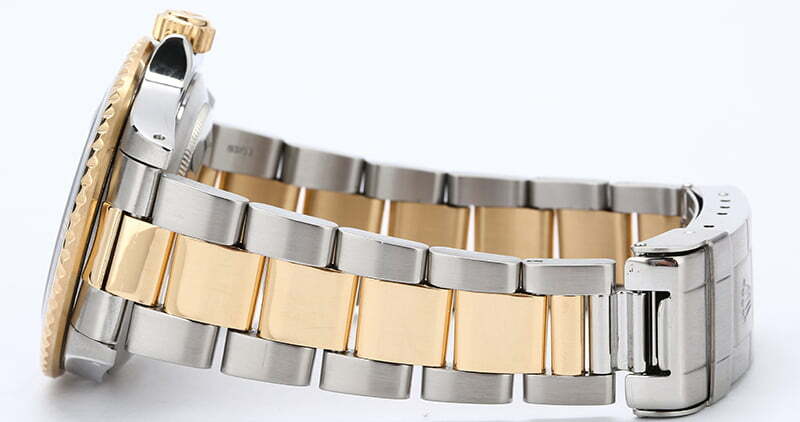 Its incredible depth-resistance of up to 1,000 feet can be attributed to the case which is hermetically sealed via a steel screw-down case back and a waterproof screw-down crown. 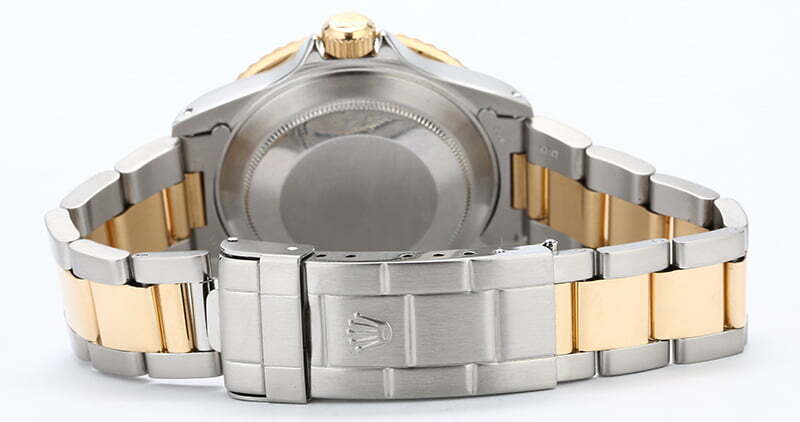 A unidirectional bezel is meant to measure decompression stops while an Oyster bracelet and Oysterlock clasp hold secure over a wetsuit or a tuxedo. 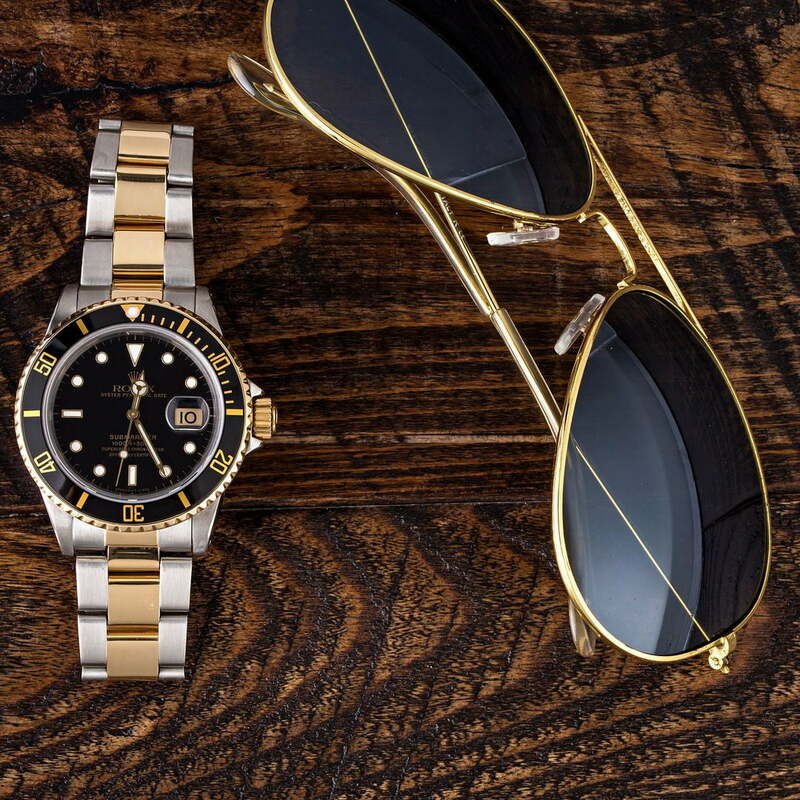 High-polish 18 karat yellow gold offers a handsome contrast to the black aluminum bezel, black dial, and stainless steel finish, creating a memorable statement piece.